Free Download Chivalry Medieval Warfare Adalah suatu Game Massive Multiplayer FPS yang di buat oleh Torn Banner Studios sebagai game pertama yang di rilis nya . Chivalry berada dalam masa Perang Medieval / Pertengahan yang brutal . Trailer pertama game ini di rilis pada tanggal 20 September 2012 dan menunjukan bawha Chivalry : Medieval Warfare akan di rilis pada tanggal 16 Oktober 2012. Game Chivalry : Medieval Warfare ini merupakan "PC-Exclusive", Atau bisa dibilang khusus untuk PC. Game ini dibuat oleh engine yang cukup terkenal yaitu " Unreal Engine " , engine yang sama digunakan untuk game " Dishonored ". Chivalry : Medieval Warfare mengutamakan Melee Combat , ada banyak senjata yang bisa digunakan dalam Chivalry , seperti Sword , Mace , Longbow , Crossbow , Spear , Catapult , Ballista , Boiling oil dan lainnya . Besiege castles and raid villages in Chivalry : Medieval Warfare , a fast paced medieval FPS (Slasher with a Multiplayer online focus) . Chivalry : Medieval Warfare is a first person slasher with a focus on multiplayer . Featuring competitive online combat that seeks to capture the experience of truly being on a medieval battlefield . 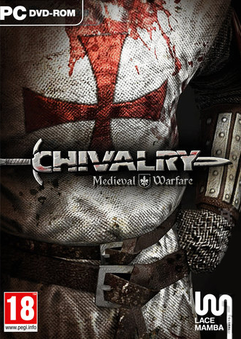 Inspired from the intensity and epicness of swordfighting movies such as 300 , Gladiator and Braveheart , Chivalry : Medieval Warfare aims to bring that experience to the hands of a gamer . The game is skill based and controls like a FPS , but instead of guns and grenades , players are given swords , shields , maces , battleaxes and longbows . Set in a fictional , yet gritty and realistic world , players will fight in fast paced online battles besieging castles , raiding medieval villages and fighting for glory in the arena with up to 32 players . Dynamic objective system brings team tactics and strategy to the forefront as players batter down gates , raid villages and assassinate enemy royalty to achieve victory. Vast , lush environments that transport the player to a gritty and immersive medieval world . Offline play options that allow player to gain familiarity with the control and gameplay before being thrust into the action. 0 Response to "Chivalry Medieval Warfare Single Link ISO Full Version"